When Right to Dream graduate, Fifi Baiden, was drafted by Columbus Crew in the Major League Soccer (MLS) Super Draft on January 22, 2014, it was a crowning moment after years of hard work and determination. Baiden becomes the second RtD graduate to sign for a MLS side, following in the footsteps of Michael Tetteh, who signed with the Seattle Sounders three years ago. Baiden was selected with the fourth pick of the Third Round, taking a significant step to fulfilling a long held ambition to play professional football. Born in Ajumako, in the Central region of Ghana, Baiden is one of four children in his family. Just like many Ghanaian youngsters, he grew up loving football and honed his skills on the streets of Ajumako, with a dream of making the professional ranks later in life. Opportunities were few and far between for Baiden, who had to help his parents to make ends meet from a very early age. “My parents were poor and sometimes they were not able to pay for my school fees. I helped my parents to sell kerosene and other petty stuff to help them make it,” he reflects. As fate would have it, he had his opportunity at the age of 10. His life took a dramatic turn when he won a scholarship to the Right to Dream Academy – famed for producing some of the best talents in the country through education, football and its unique character training. After spending five years at RtD, Baiden earned a scholarship to study and play football at Dunn School, a private boarding school in California in the US. He made an immediate impact at his new school with his dedication to his studies, alongside winning MVP for three consecutive seasons in the school football team. It was while playing for Santa Barbara SC that he caught the attention of the University of California, Santa Barbara (UCSB), who offered him a scholarship. His career grew in leaps in bounds as he made 18 appearances in his first year at UCSB before making a further 23 starts in the subsequent season. During his time at UCSB, he earned many accolades, including his selection to the All-Big West First Team, as well as a spot on the Big West Academic All-Conference Team. 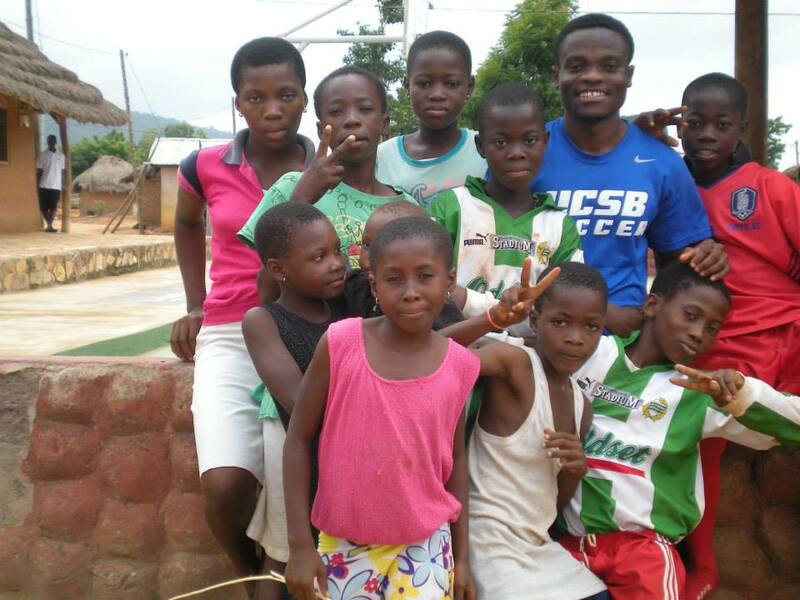 Back in July 2013, when he carried out an internship at the NGO, Orphan Aid, in Ghana, Baiden mentioned he was keen on playing in the MLS – noting that it would be easier for him to adapt to the US environment, compared to that of Europe. And now he has a chance to put that approach and skills to the test as he begins his professional football career in the MLS. As he puts it: “A dream is worth the chance to make it happen. God bless those who do their best to help themselves. Live your dream through your hard work and success will follow everywhere you go."